Memorial Day tends to be the unofficial kick off to summer. Here in Michigan, we seemed to have skipped spring entirely this year. With temps already soaring into the 90’s, the air conditioning is already on in my home. However, nobody wants to spend the entire summer locked indoors. One great way to beat the summer heat is to enjoy water activities. My son was born a water baby, and his love for water has only grown. I decided to put together a list of our favorite water activities to keep your child cool and entertained on a budget. Water tables are great, especially for smaller children. It allows them to have all the joy of splashing and playing with water, while giving parents the added bonus of not having to worry about things like drowning. You can buy a variety of different water tables at any store during the summer months. For frugal families, you can also DIY your own. All you need is a plastic storage tub (can be purchased at many retails for $5-$10), and some toys to go in it. 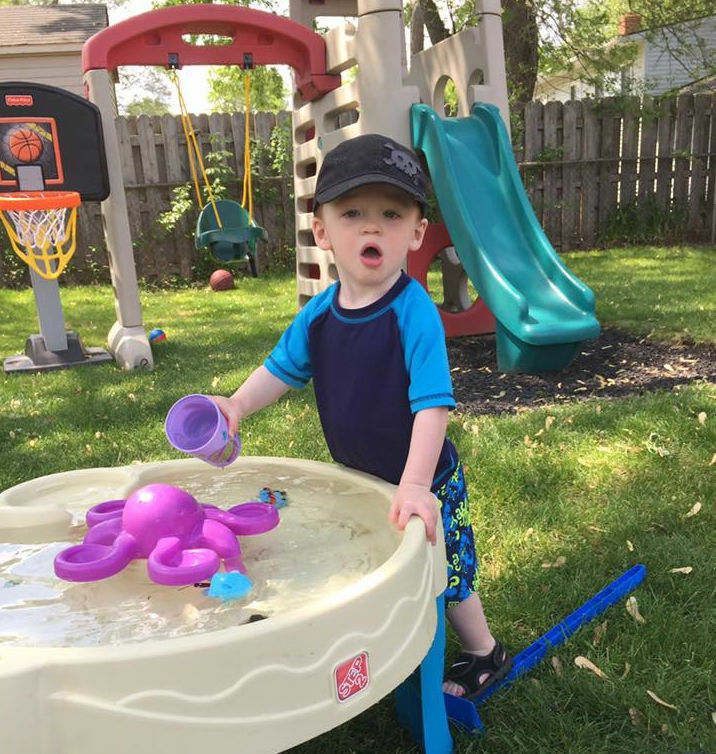 Toys for your DIY water table can be easy to come by as well. Little plastic boats, or some plastic cups/bowls are guaranteed to keep your toddler entertained. Swimming is a great way to cool off in the hot summer months. We are lucky enough to have a pool in our back yard. However, for children, a giant pool isn’t necessary. A small inflatable pool can be just as much fun. 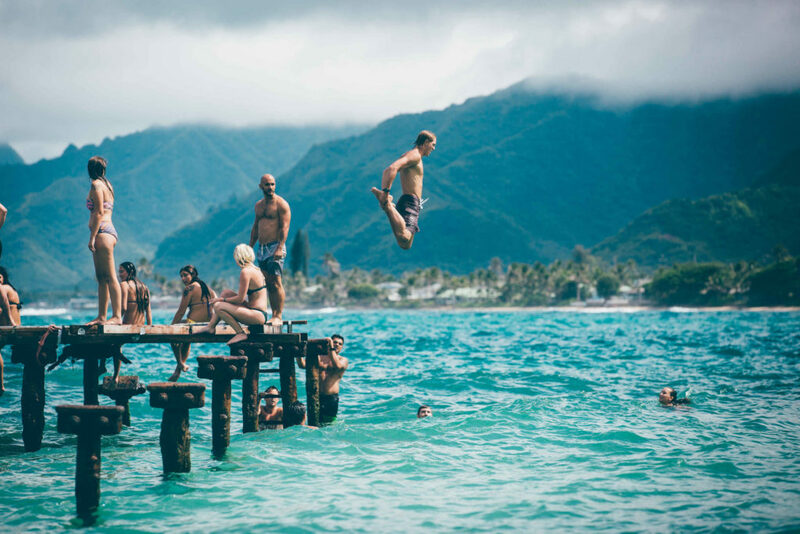 Another great place for swimming is local lakes or oceans. Here in Michigan, we are surrounded by the Great Lakes, and our state is speckled with smaller inland lakes. While swimming can be a lot of fun for the family, you must always use caution. Always make sure to watch children around pools and large bodies of water. Use flotation devices like life jackets to keep small children safe. Who doesn’t love water balloons on a hot day? Kids love them. Heck, even as an adult, I love them. They can be so much fun. Again, they are pretty cheap and easy to come by, and will keep your family entertained. 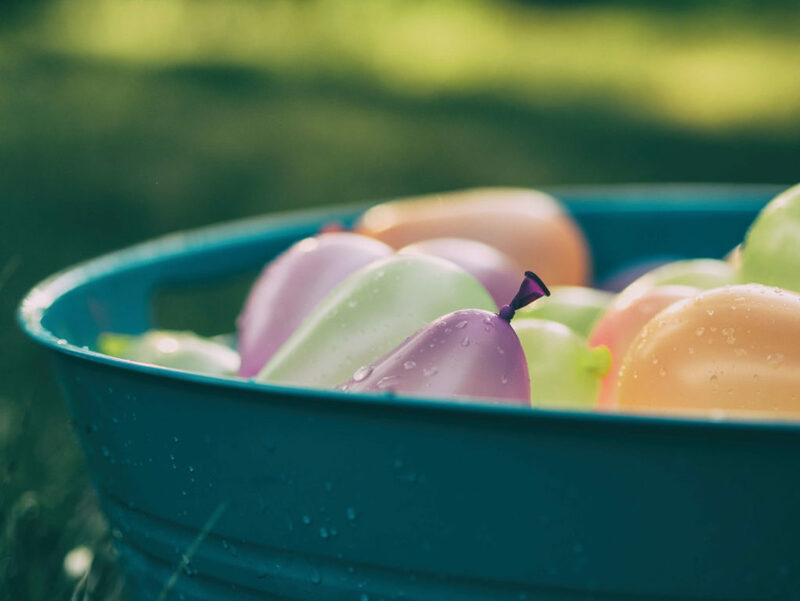 There are tons of water activities you can do with water balloons. You can play catch, or “hot potato” where you toss it back and forth as quickly as possible until it pops. You can have a water balloon war. These were always my favorite as a child. You can toss them at targets, or into buckets, or up in the air and try to catch them. 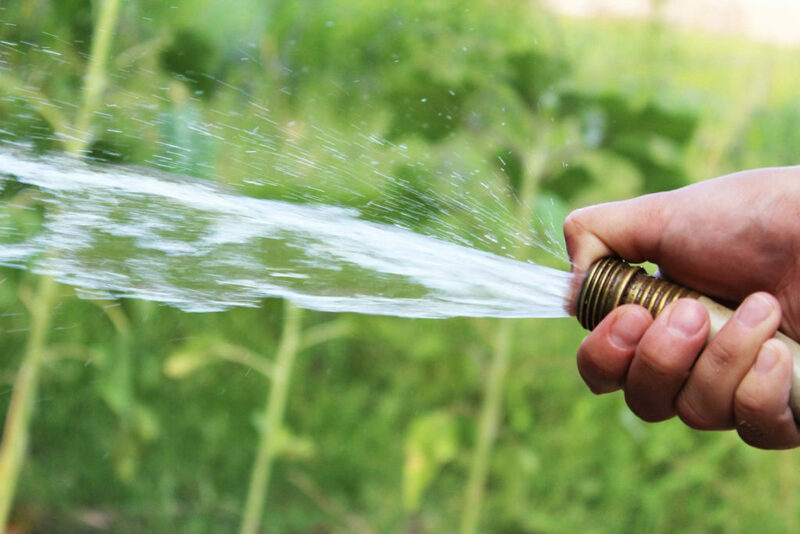 Another favorite childhood water activity of mine was running through a sprinkler on the lawn. My son now loves the sprinkler. 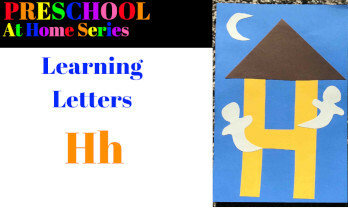 One nice thing about this activity is that you are accomplishing two tasks in one. You are entertaining your children while watering your lawn and plants. 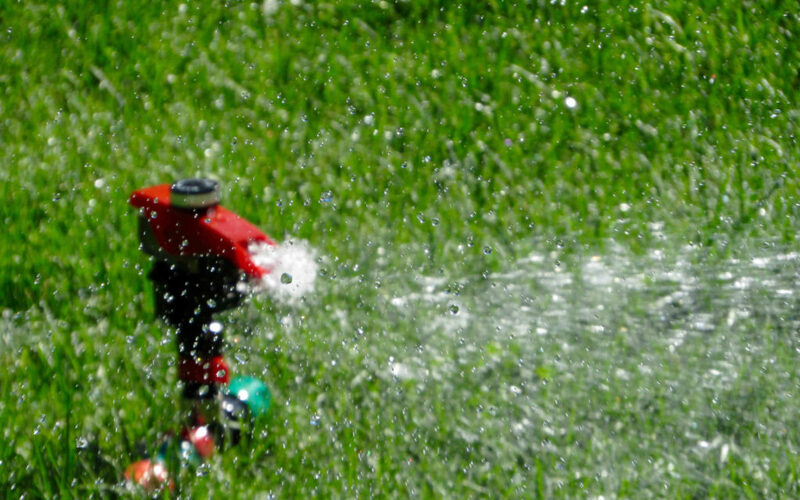 They make really cool varieties of sprinklers designed with children in mind. These are usually pretty affordable. However, most children will be just as happy with a run-of-the-mill lawn sprinkler. 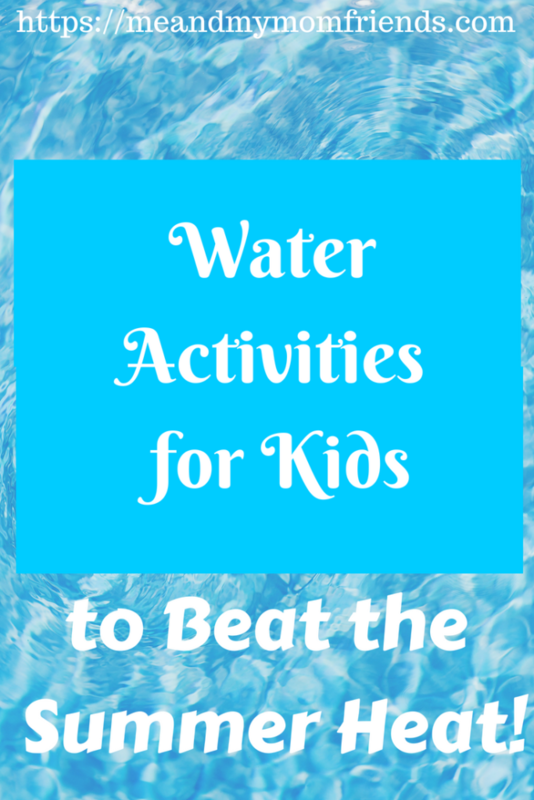 This is why it makes the list of best water activities for kids. You can get water guns of all shapes and sizes at most stores that carry children’s toys. We own tons of them. 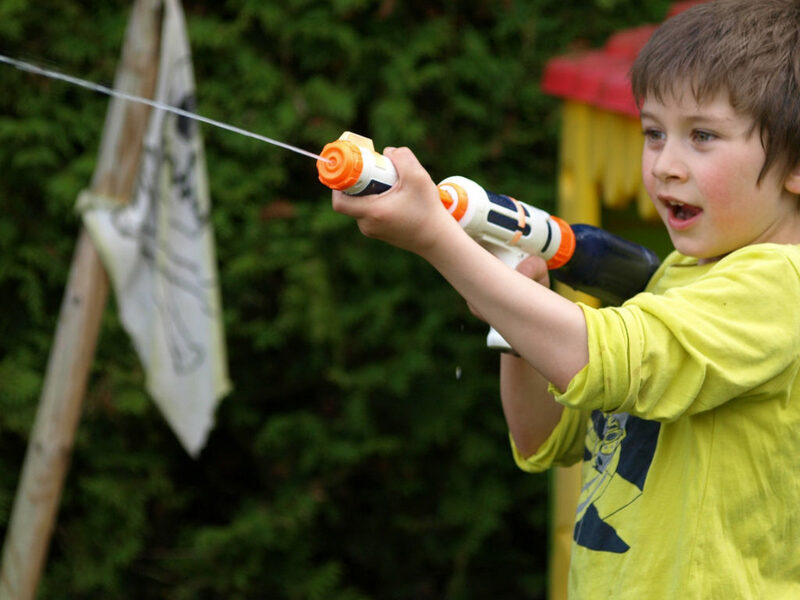 Kids of all ages can be entertained running around squirting each other. Now, I know not all families are comfortable with the concept of “guns.” If this applies to you, you can also find other water squirters that are differently shaped so they don’t resemble guns at all. We have one that is made like a pool noodle and works like a plunger. We also have a backpack that holds water and has a hose connected that you can pump water out of. If you don’t have the budget for any new water toys, you simply give your child the hose to play with. My son loves the hose. 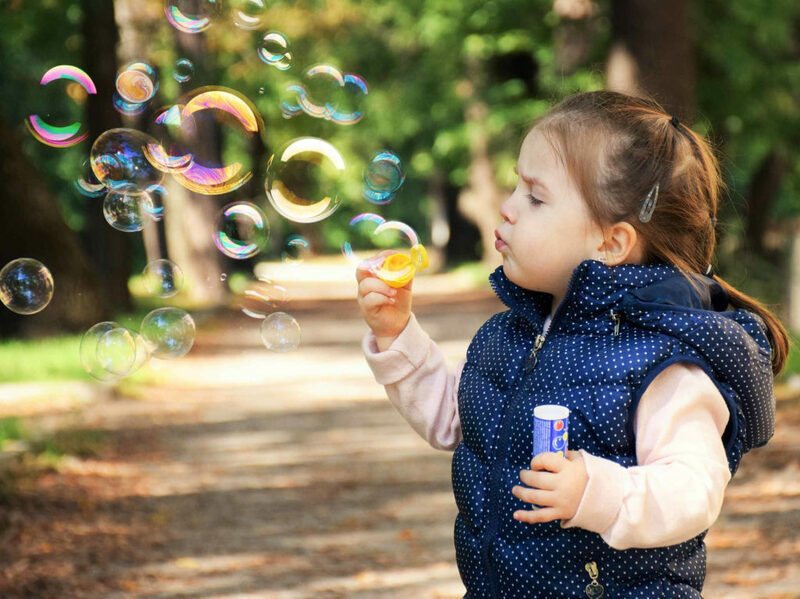 You can let your child wash their toys, help you wash the car, water your garden or flowers, a million other activities. My firefighter-obsessed son loves to pretend that he is fighting fires and rescuing people. He will play for hours with just the hose and his imagination. This is one of our favorite water activities because it encourages him to use his imagination. 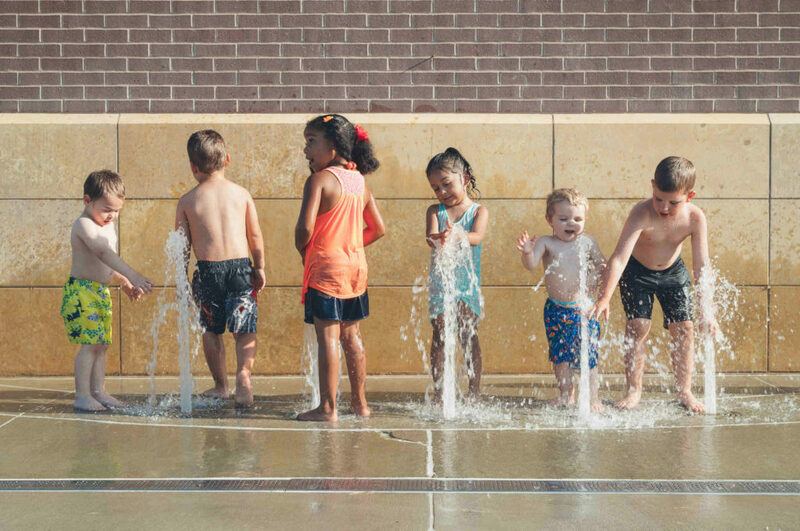 As far as water activities go, you can’t beat a splash pad on a hot summer day. Splash pads have taken off lately in my area. They seem to be everywhere. This was a thing that just didn’t exist when I was a child. Splash pads, for those who are unfamiliar, are playgrounds with tubes or jets of water that spray. Children can run around in the spray and splash in the water. They are all different and offer different feature. Some are completely free. Others you may need to pay a small entrance fee. But this is another great way to have some fun in the water with your kids. This one doesn’t quite fit with water activities, but it is still outdoors and involves soapy water, so I am including it. Also, its a huge hit with kids. Bubbles are great. They are cheap. You can buy gallons of bubbles for a few dollars. You can blow them, or use a big wand to make them. They sell bubble guns that shoot bubbles. They even have these awesome machines that are battery-operated and make tons of bubbles. You can get them for around $10-$15 and it will save you from having to blow them yourself. Water activities on a hot day will help your family keep cool. Water activities can help keep your child hydrated. They will keep your children entertained outdoors. When your family is outside on a hot day, there are some things to keep in mind. Make sure to drink plenty of fluids to stay hydrated. Utilize sun protections like sunscreen, hats, and clothing. Make sure to use water safety and supervise children while swimming. Most of all, get wet and have some fun! 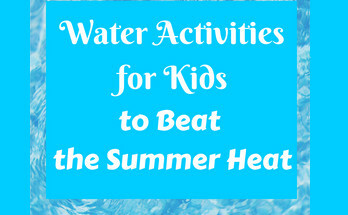 What are your families favorite water activities for beating the summer heat? Leave them in the comments! For more summer fun, check out the Ultimate Summer Bucket List for Families! 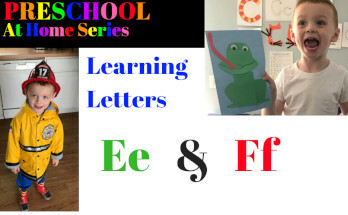 Some great ideas! We just got our first play sprinkler. I’m excited to get to use it! I don’t have kids but I’ve already been swimming, bought bubbles and planned for a water balloon fight this summer! I’m hoping to get back to Prince Edward Island to see my nieces this summer and have tons of fun with them. Thanks for the tips! Great tips! I’m definitely using some of the tips with my 2 year old. We have been trying to find ways to keep her entertained, but apartment living is so limited. Love the outdoor suggestions! We just bought a water table & bubble machine over the holiday weekend. Both were a major hit and have been used daily since we bought it. We also played in the hose and little miss kept saying we had a waterpark at our house lol. We have 3 beaches in walking distance but since it was very warm over the holiday weekend they were packed, so we made our own fun. My daughter is the same way, she LOVES anything to do with water. Love these ideas for summer! Our fellas love a good water ballon fight! These are all such great activities. They bring back so many memories of when I was younger and would spend endless hours outside playing in the water! I love playing with water during the summer! These are some great reminders! Great ideas! I believe I already have everything we need to create a little water table. That may just be today’s afternoon activity if the weather gets warm enough! Great list! We’ve already had the hose out… to make a water slide! I’m going to get the pool filled and the bubbles out. Great summer activities. It is winter here in Australia now. But i will definitely try them out with my daughter during the next summer! I am sure she will love anything with water. By the way, what is water balloon? I am curious to know how to make them? They are just like they sound. Balloons but instead of inflating them with air, you fill them with water. Here in the States they sell balloons designated for this but I know I’ve used just regular balloons. You fill them with a hose or your sink and then toss them around. It’s great fun! Thanks so much for reading! We love water tables so much fun !! 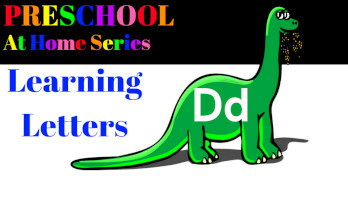 Thanks for sharing there is some great ideas !! Loved the post. I’m 55 with no children but I do some of the things on your list…water gun and water ballon fights with my husband and dog.